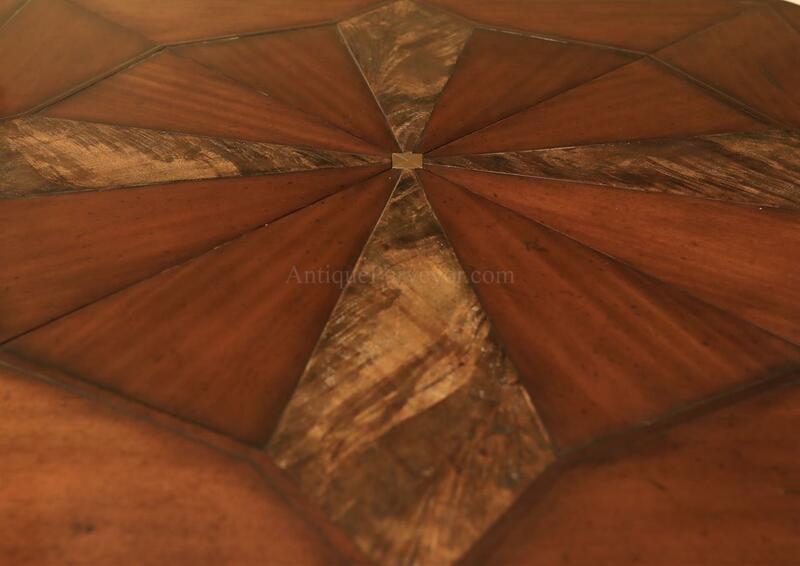 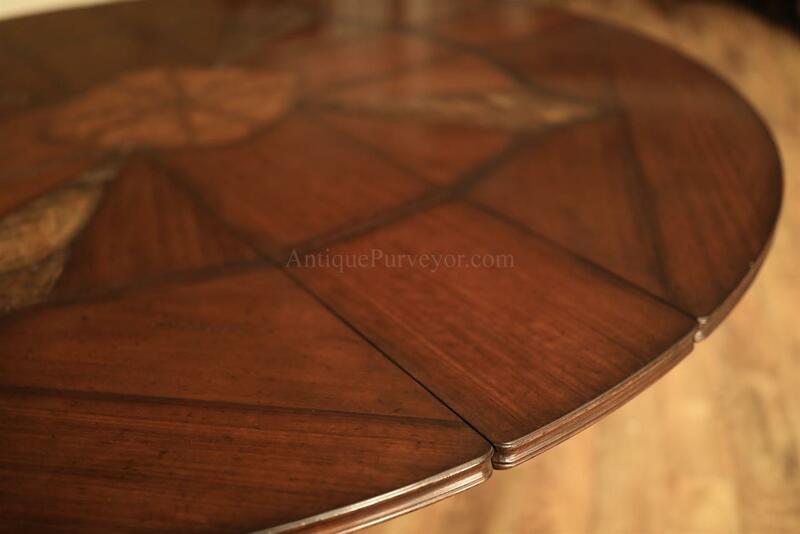 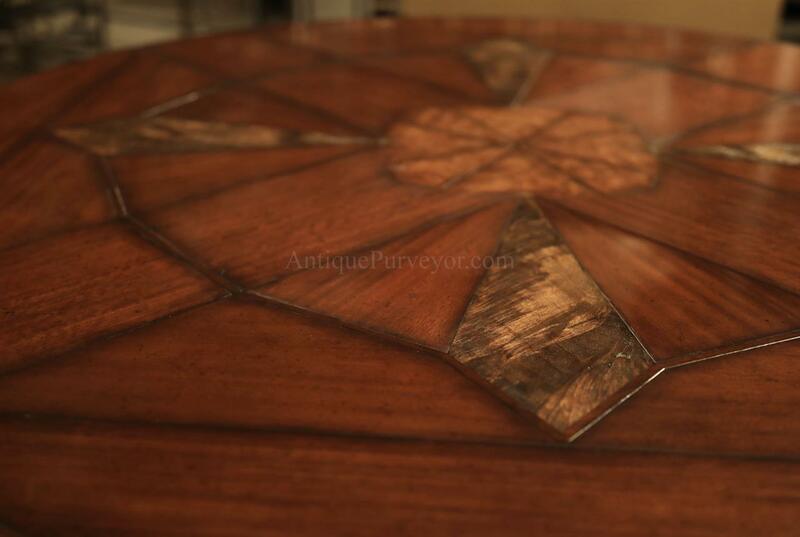 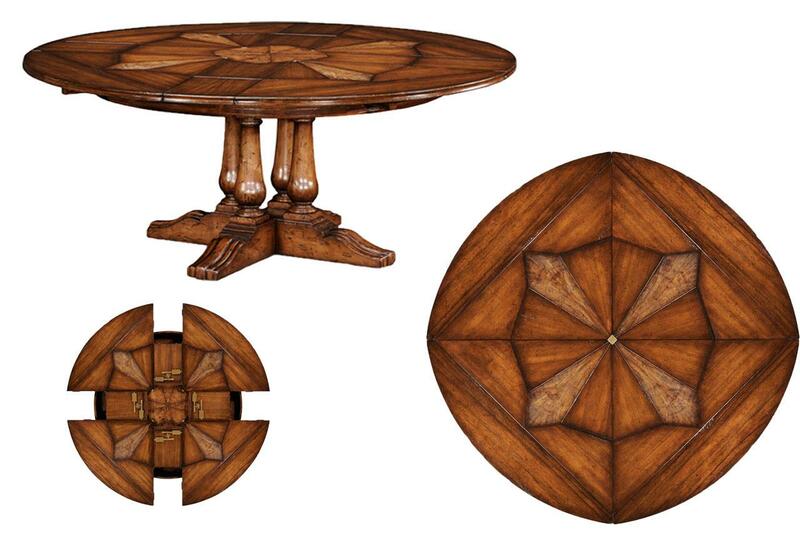 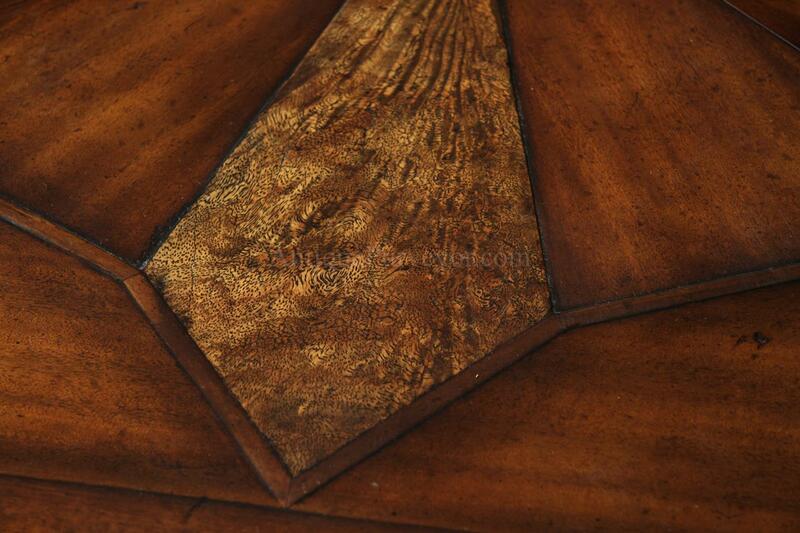 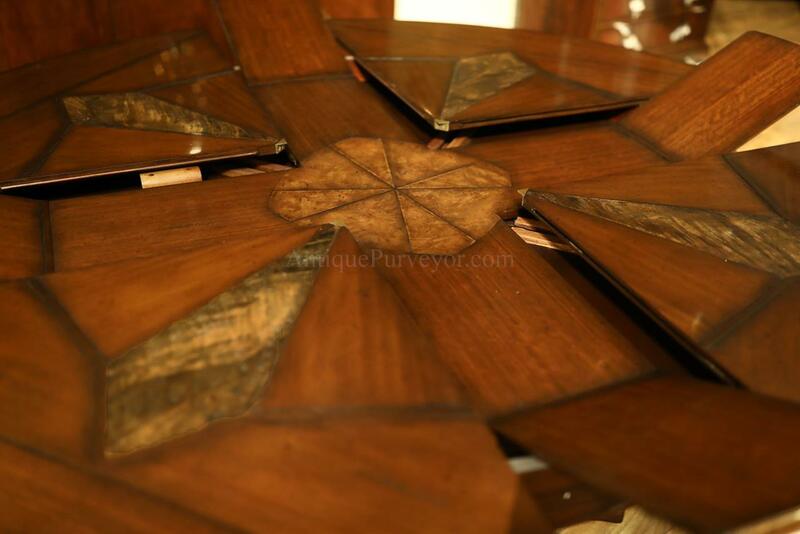 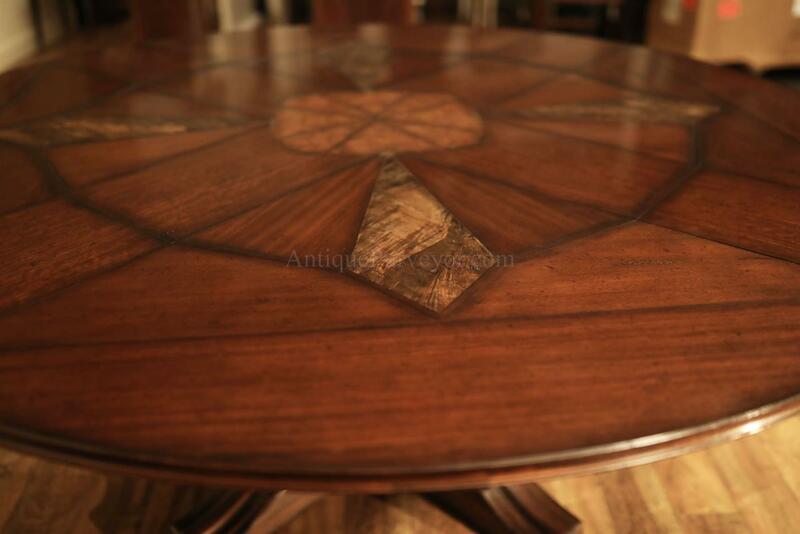 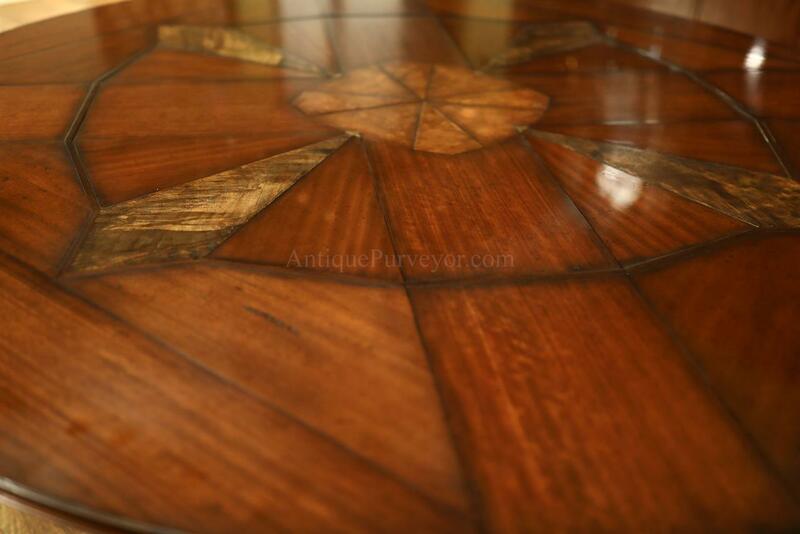 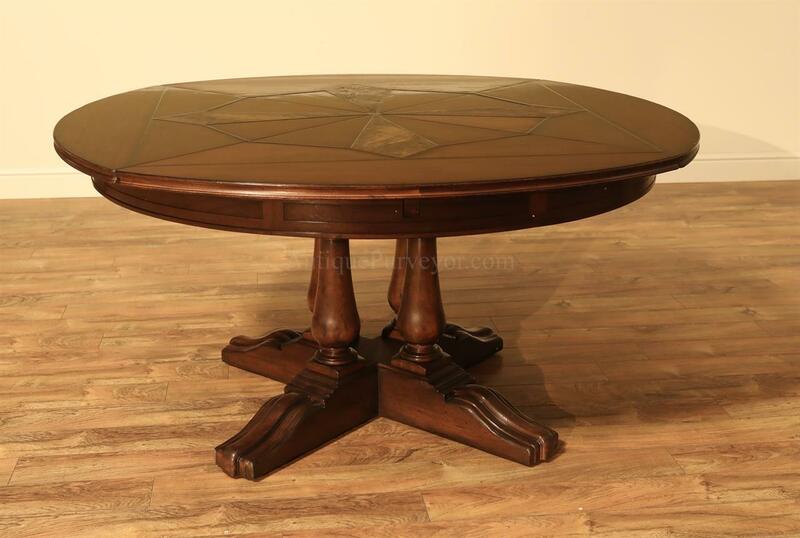 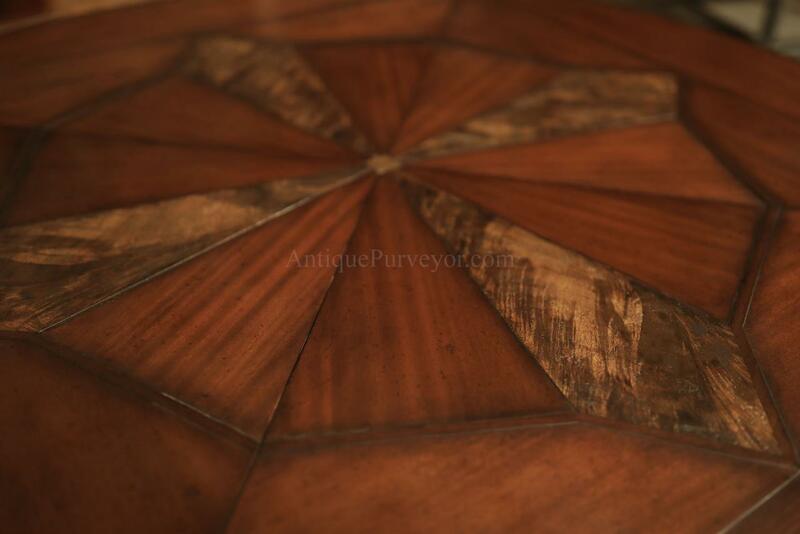 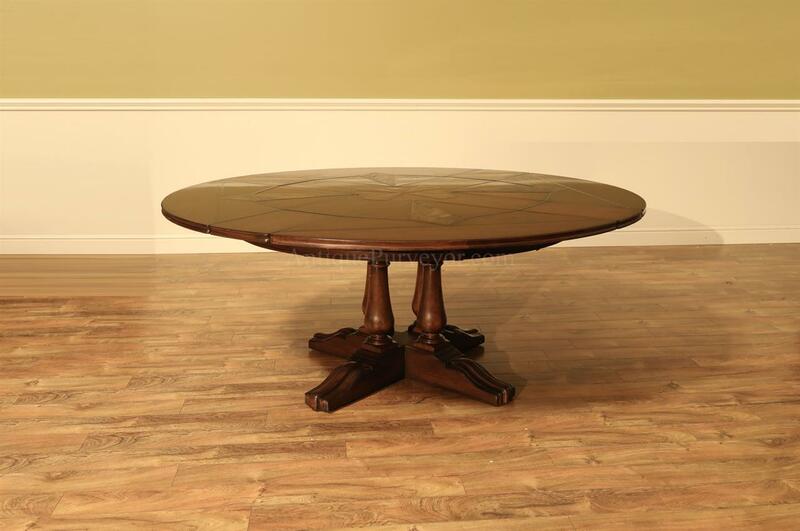 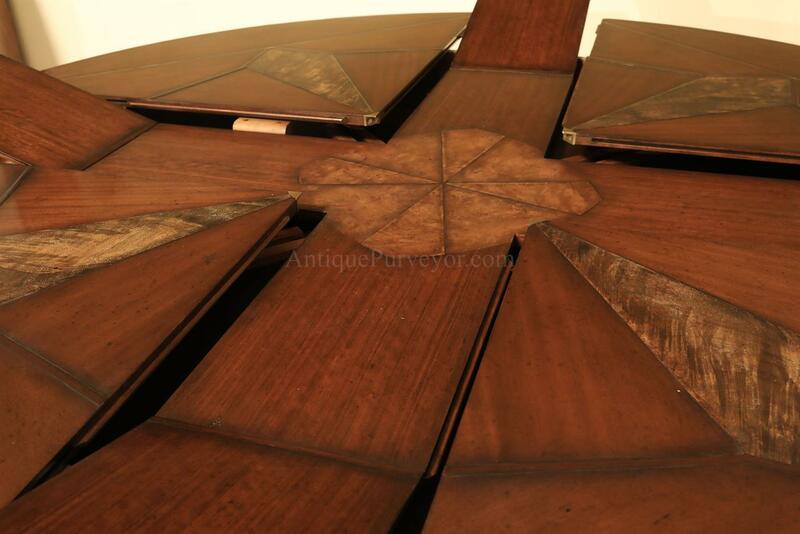 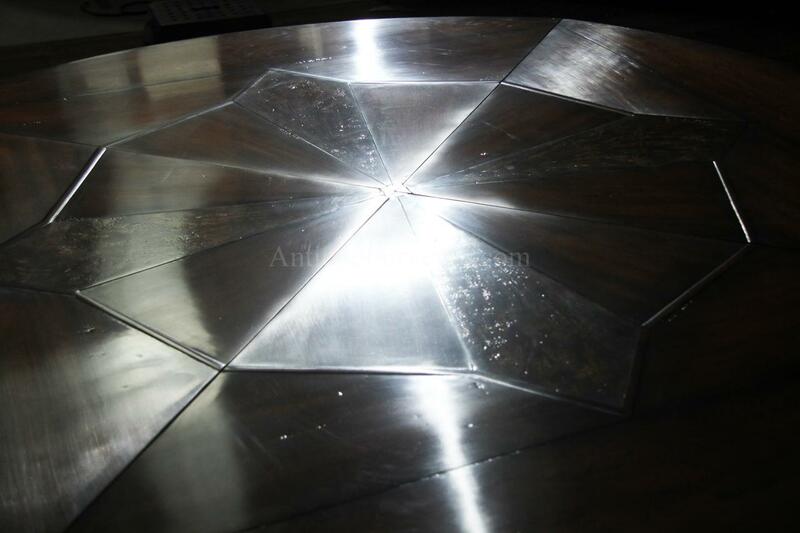 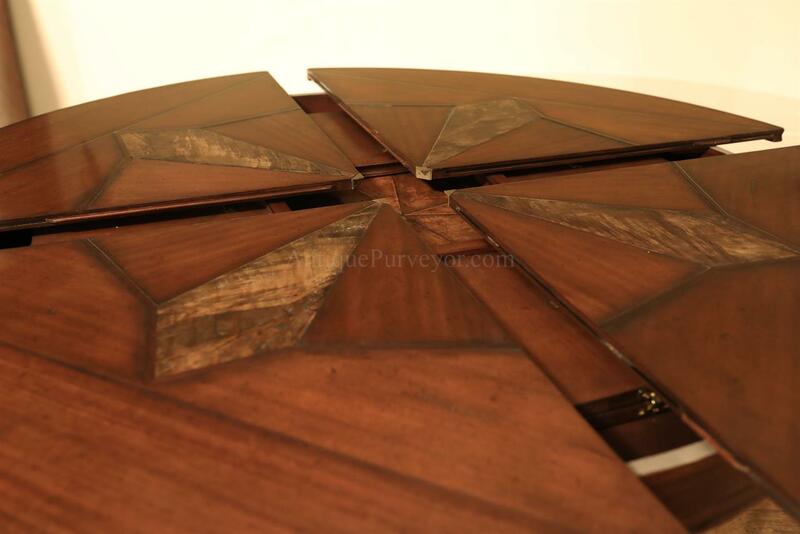 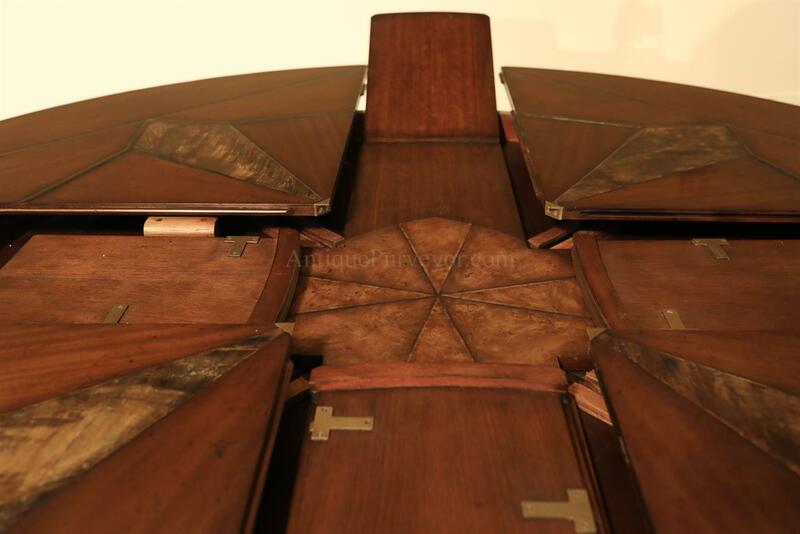 Description: Upscale walnut round expandable dining table with hidden leaves. 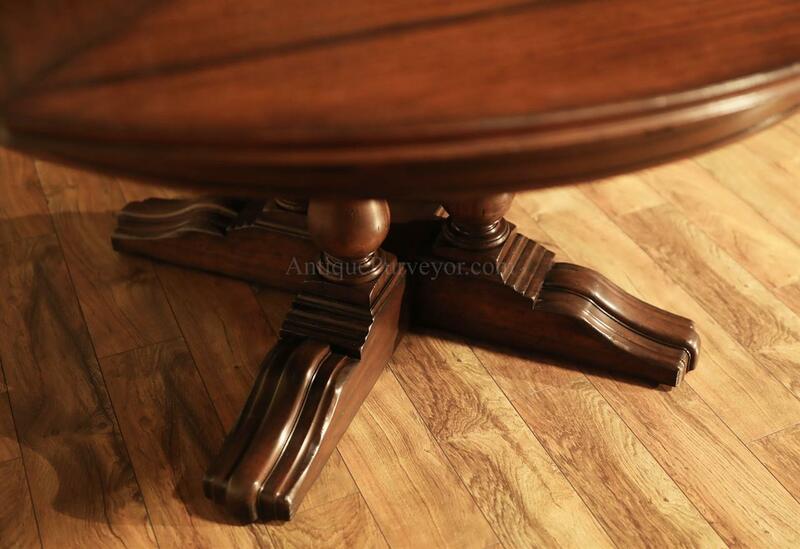 This is a very heavy table and fine quality. 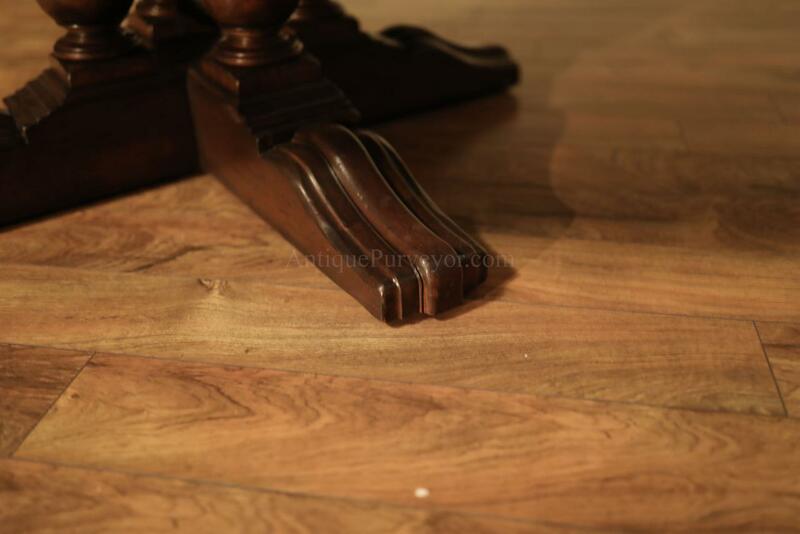 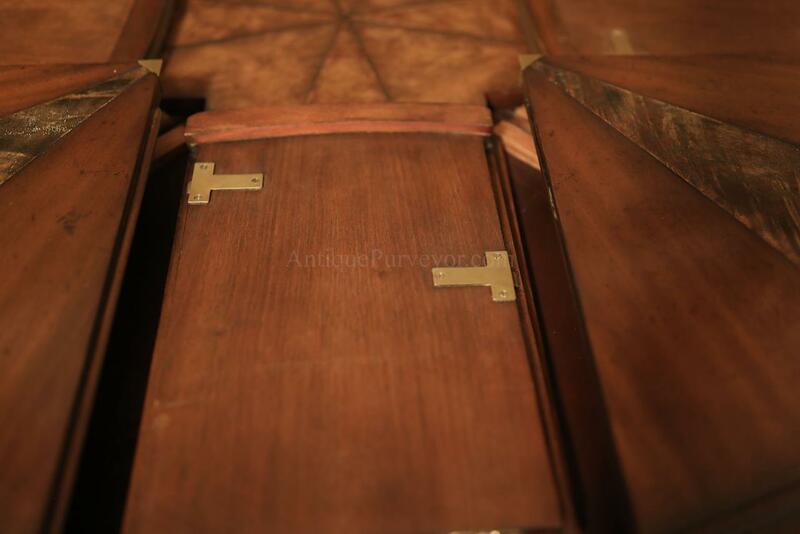 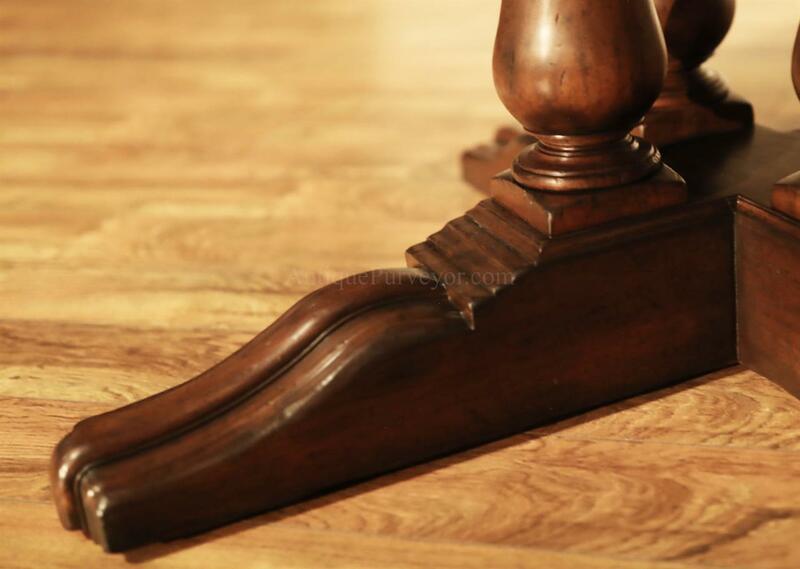 It stands on country turned legs which hold the table very sturdy because of its wide foot print. 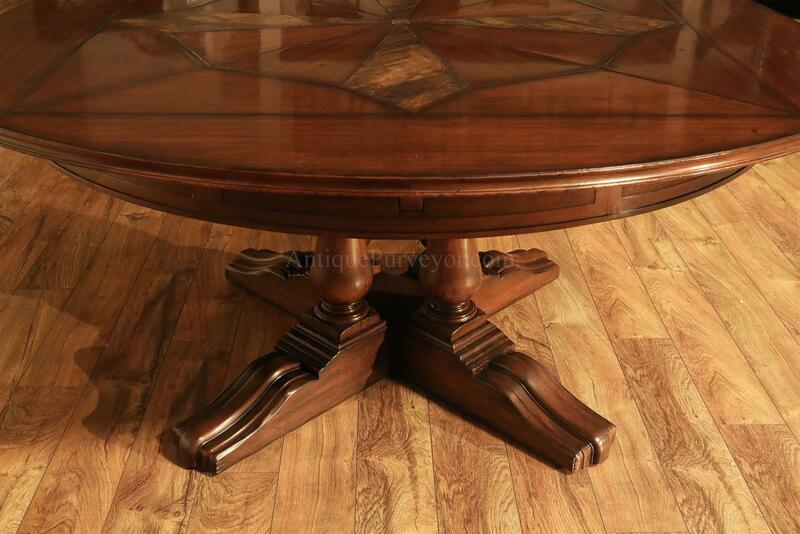 Well designed table with handy features like locking leaves, rollers for easy table rotation and leaves which rise and fall with a clockwise motion of the table. 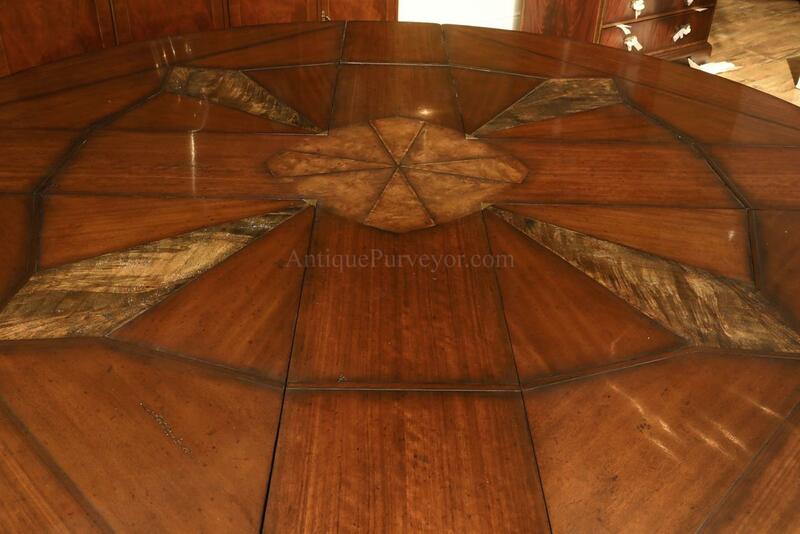 One person can easily handle this table. 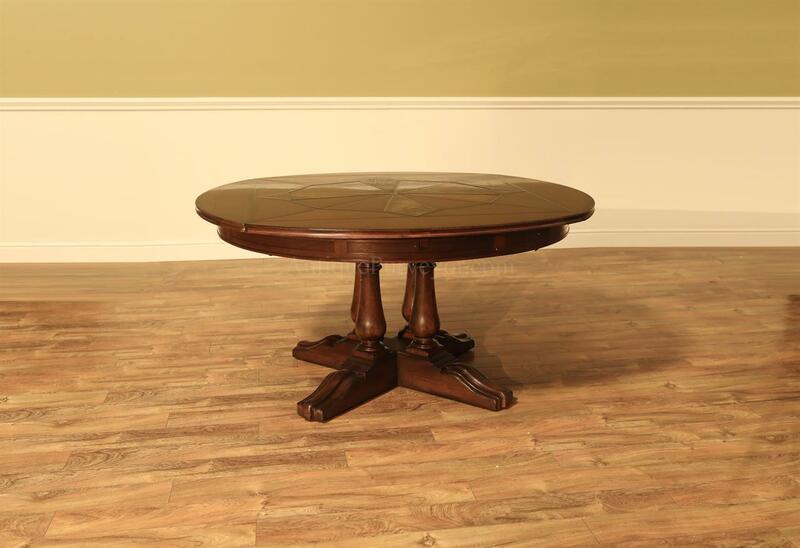 All of the hardware on this table are factory forged by craftsman in the factory, even the machine screws are made in-house. 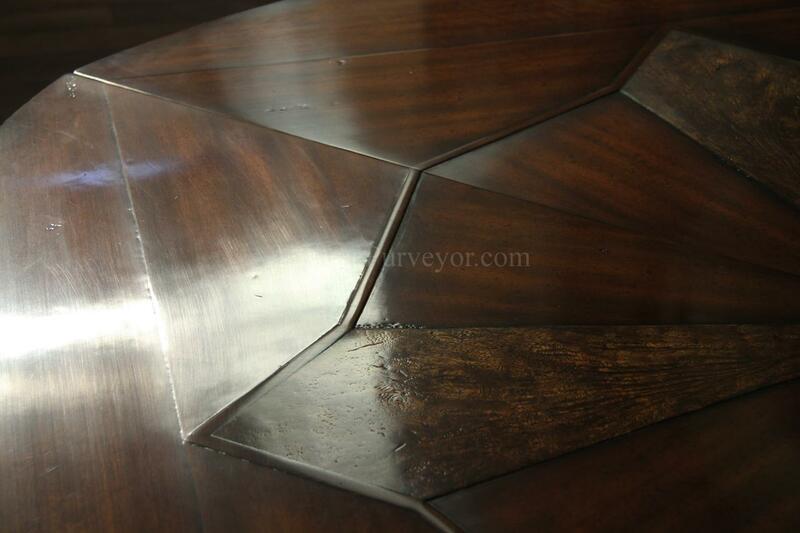 This manufacturer has a reputation for detail and you get plenty of detail on this table. 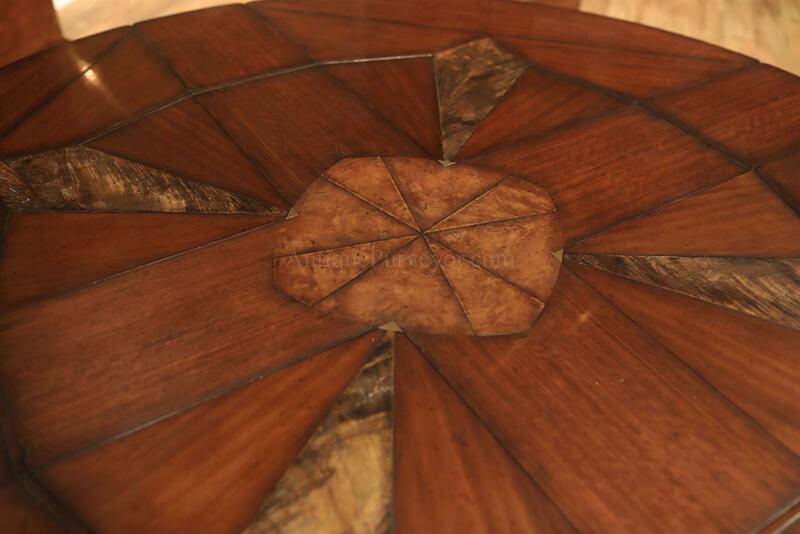 Leaves are very easy to open and close, they fold in half to stow within the table. 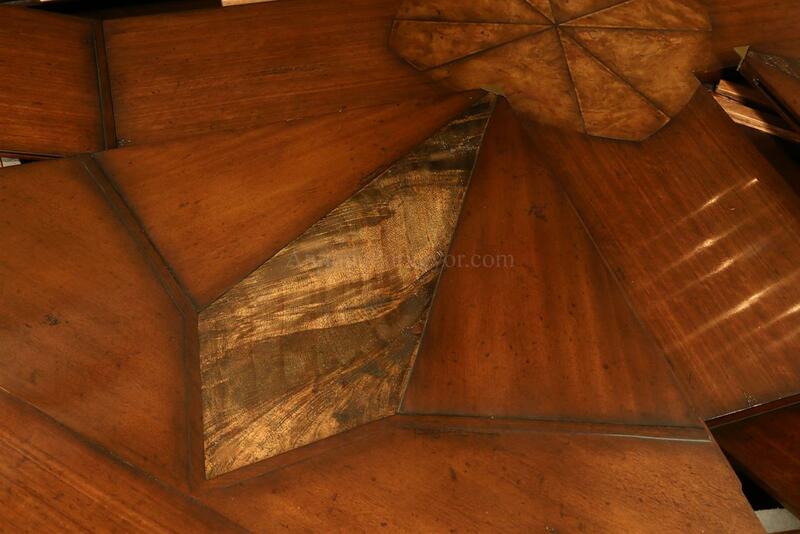 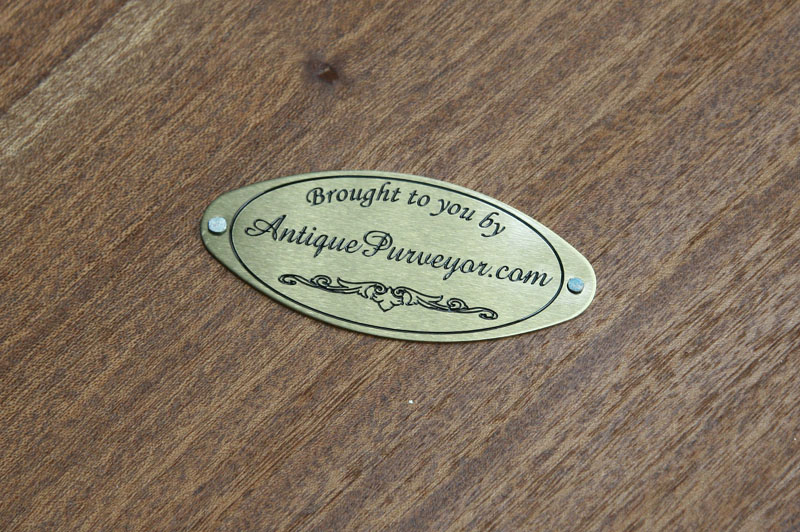 The finish on this table is walnut and it has a matte sheen and factory distressing. 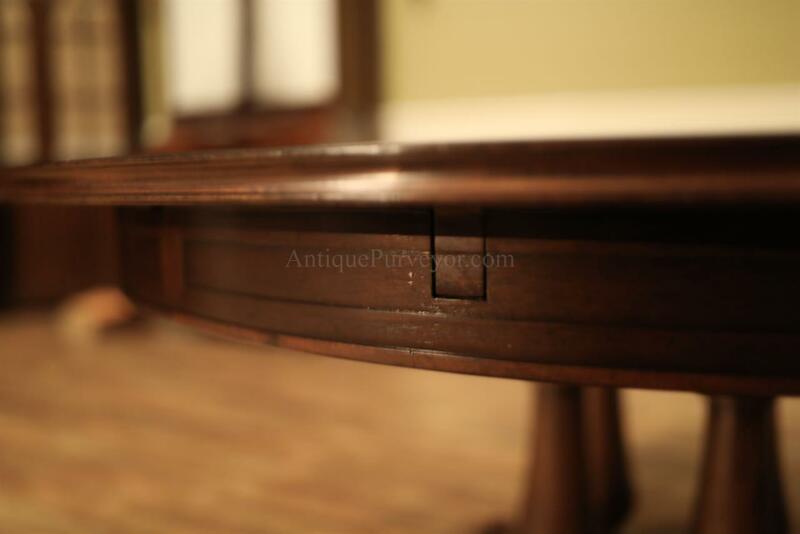 Great family friendly finish.